This card mainly deals with angina pectoris and myocardial infarction (heart attack) . Please also consult our cardiac arrhythmias and heart failure cards. The cardiovascular diseases encompass a multitude of diseases related to poor functioning of the heart or blood vessels that feed it. Myocardial infarction or heart attack is a more violent crisis than angina. The lack of oxygen causes necrosis, that is to say the destruction of part of the heart muscle, which will be replaced by a scar. The ability of the heart to contract normally and pump a normal amount of blood at each beat may be affected; it all depends on the extent of the scar. The term “infarction” comes from the Latin infarcire, which means stuffing or filling, because the heart tissues seem so full of liquid. The heartis a pump that allows blood to be distributed to all organs, and thus ensures their functioning. But this muscle also needs to be fed with oxygen and nutrients. The arteries that supply and nourish the heart are called coronary arteries (see diagram). Angina attack or myocardial infarction occurs when the coronary arteries are obstructed , in part or completely. Heart regions that are no longer well irrigated contract poorly or stop doing so. This type of situation occurs when the walls of the arteries of the heart have been damaged . The age at which a first angina attack or infarction is declared depends in part on heredity , but essentially on lifestyle habits : diet, physical activity, smoking, alcohol consumption and stress. According to the Heart and Stroke Foundation, approximately 70,000 people in Canada suffer a heart attack each year. Nearly 16,000 of them succumb to it. The vast majority of those who survive recover enough to return to an active life. However, if the heart is severely affected, it loses a lot of strength and hardly meets the needs of the body. Simple activities, such as dressing, become breathless. It’s heart failure. Cardiovascular disease is the 1 st cause of death worldwide, according to the World Organization for Health . However, this is not the case in Canada and France, where cancers are now included in the 1 st rank. Cardiovascular disease remains nevertheless the 1 st cause of death among diabetics and other population groups, such as indigenous . The heart problems almost equally affect men and women . However, women are affected at a later age. TheAtherosclerosis refers to the presence of a plaque on the inner lining of the arteries that obstructs or blocks the flow of blood. It forms very slowly, often many years before a bout of angina or other symptoms occur. Atherosclerosis mainly affects large and medium-sized arteries (for example, coronary arteries, arteries of the brain and arteries of the limbs). It is often associated with arteriosclerosis : that is, hardening, thickening and loss of elasticity of the arteries. How does myocardial infarction occur? The majority of myocardial infarctions occur in 3 successive stages . First, the inner wall of the artery must suffer micro – injuries. Various factors can damage arteries over time, such as high levels of blood lipids, diabetes, smoking and high blood pressure. Most of the time, the story stops here, because the body treats these microblessures well. On the other hand, it happens that the wall of the artery thickens and forms a kind of scar called ” plaque “. It contains cholesterol deposits, immune cells (because micro-injuries triggered an inflammationreaction ) and other substances, including calcium. Most plates are not “risky”; they do not get fat or do it very slowly, then stabilize. Some can even reduce the opening of coronary arteries by as much as 50% to 70%, without causing symptoms and without getting worse. For an infarct to occur, a blood clot must form on a plaque (which was not necessarily large). In a matter of hours or days, the artery can be completely clogged with clot. This is what creates infarction and sudden pain, without any form of warning. The steps that lead to the formation of a blood clot on a plate are not completely elucidated. The clot is made of coagulated blood. As when there is an injury to a finger, the body wants to repair it by coagulation. The Atherosclerosis tends to affect more arteries in both . It also increases the risk of other important health problems, such as a stroke or kidney failure. This questionnaire is used to estimate the risk of cardiovascular disease in the next 10 years. It can be low (less than 10%), moderate (10% to 19%) or high (20% or more). The results guide physicians in the choice of treatment. If the risk is high, the treatment will be more intensive. This questionnaire takes into account age , cholesterol levels , blood pressure and other risk factors. It is widely used by Canadian and American doctors. It was developed in the United States, in the city of Framingham. There are several types of questionnaires because they must be adapted to the populations that use them. In Europe, one of the most used is theSCORE (” S ystematic COronary R isk E valuation”). The symptoms can be intense and abrupt , but most of the time the discomforts are mild at first and then increase. If you experience any of the following symptoms, contact the emergency services . Cold sweats and moist skin. Its manifestations resemble those of angina pectoris, but are more pronounced and persist longer(often more than 20 minutes). In the elderly and those with diabetes, infarction sometimes goes unnoticed. It has long been thought that this was the case. Some studies have supported the hypothesis that women are more likely to have less pronounced warning signs, such as digestive discomfort , sweating , shortness of breath, and weakness . Doctors now doubt that there are real dissimilarities . According to current knowledge, chest pain is the most common symptom for both sexes. Women may be minimizing their symptoms or delaying talking to the doctor more than men. In addition, they are less sensitive to heart problemsonly men. In the past, they were less often victims prematurely. 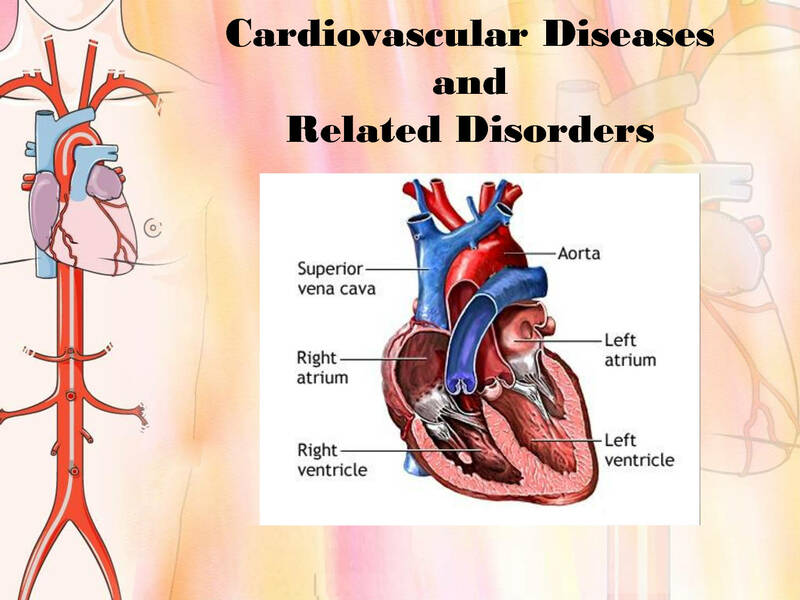 From a certain age , it is normal for the risk of cardiovascular disorders to increase. In men , it is considered that the risk begins to increase from 40 years , and in women , after menopause. People who have had a family member who has suffered early enough from cardiovascular problems (father or brother before age 55, mother or sister before age 65) are at higher risk. The lifestyle habits are closely linked to the health of the heart and blood vessels . According to the World Health Organization, the bad food , the lack of physical activity and smoking are responsible for about 80% of heart disease and stroke. The Interheart study , conducted in 2004, remains an important reference for health professionals. The data come from 52 countries on 5 continents, for about 30,000 participants. His results indicate that 9 factors (6 risk factors and 3 protective factors) predict 90% of myocardial infarction in men and 94% in women. This study highlighted the significant impact of chronic stress on heart health. a high waist circumference (abdominal obesity): risk 2.2 times higher. Note that the relative importance of each of these risk factors varies from one individual to another, and also from one country to another. * This is the most powerful trigger. Air pollution . Even though scientists have been more interested since the early 1990s, it is still difficult to measure the effect of this effect. According to the Heart and Stroke Foundation, air pollution have caused about 21 000 premature deaths in Canada in 2008. About half of them would have occurred by heart attack, stroke or heart failure. These are mostly people already at risk for cardiovascular problemswho are sensitive to it. According to a large British study published in 2008, people who live in the greenest environments (parks, trees, etc.) have a lower mortality rate (6%) than those who live in neighborhoods with the least vegetation . The very fine particles suspended in air (especially those having a diameter less than 2.5 micrometers) penetrates into the respiratory tract and causes an inflammatory response throughout the body. These ultrafine particles create a hardening of the arteries that, over time, circulate the blood less effectively. Secondhand smoke. Epidemiological studies indicate that being regularly exposed to second hand smoke increases the risk of coronary artery disorder, comparable to that of smoking “light” . Blood tests that put on the track? Not so sure. Various blood tests have been developed in the hope of better predicting the risk of heart attack. Their use remains marginal; they are not part of the routine examinations. The 3 physicians interviewed (including a cardiologist)believe that these tests are useless , in addition to being expensive. Their opinion reflects the results of the most recent studies. Here are some explanations. High level of C-reactive protein. C-reactive protein is one of many molecules produced during an immune response of inflammation. It is secreted by the liver and circulates in the blood . While it is true that its concentration increases in people at risk of heart attack and remains low in healthy people, a large study concluded that reducing the level of C-reactive protein did not reduce mortality. It should be noted that several health problems vary the level of C-reactive protein in the blood (obesity, arthritis, infection, etc.). Therefore, the result on this test is difficult to interpret. High level of fibrinogen This other protein produced by the liver plays a central role in the process of blood clotting . It has been suggested that high levels of fibrinogen may contribute to blood clots , which could eventually lead to heart attack or stroke . Like the C-reactive protein, its level increases during an inflammatory reaction. The measurement of fibrinogen level is mainly used in Europe. This test, however, has not been proven. High homocysteine It is thought that if this amino acid is found in too high concentration in the blood, the risk of suffering from atherosclerosis increases. The tissues use homocysteine ​​to make proteins. You can lower your homocysteine ​​level by making sure that you have a diet that contains sufficient amounts of vitamins B6, B9 (folic acid) and B12. Fruit and vegetable consumption has a positive effect on homocysteine ​​levels. However, lowering the homocysteine ​​level has no impact on mortality. To avoid or delay a first heart problem . To live long healthy . For people with healthy lifestyles, the morbidity period (that is, the time a person is sick before dying) is about 1 year . However, it rises to about 8 years in people who do not have good habits. Prevention is effective even in cases of adverse heredity. At home , monitor your weight regularly using a scale. In the doctor’s office , various tests are used to monitor the evolution of markers of cardiovascular disease. For someone at high risk, follow-up is more common. Measurement of blood pressure : 1 time per year. Waist measurement : as needed. Lipid profile revealed by a blood sample (total cholesterol, LDL cholesterol, HDL cholesterol and triglycerides and sometimes apolipoprotein B ): at least every 5 years. Measurement of blood glucose : once a year from 40 years. Better to approach the changes with gentleness and go by priority, step by step. Your doctor will help you find the most important preventative measures to reduce your risk. No smoking. Consult our Smoking list. Maintain a healthy weight The abdominal fat , which surrounds the viscera, is more harmful to the heart than the fat just under the skin and distributed elsewhere in the body. Men should aim for a waist circumference of less than 94 cm (37 in), and women at 80 cm (31.5 in). Eat healthy. Diet has, among other things, a major effect on blood lipid levels and weight. Stay active. Exercise reduces blood pressure, increases insulin sensitivity (therefore, improves glycemic control), helps maintain or lose weight, and relieves stress. Sleep enough . Deficient sleep damages heart health and contributes to excess weight, among other things. Better manage stress The strategy has two components: to reserve moments to relieve the accumulated tensions (physical activities or relaxation: leisure, relaxation, deep breaths, etc. ); and find solutions to better react to certain stressful situations (for example, reorganize one’s schedule). Adapt your activities in case of smog. It is better to limit outdoor activities, especially intense exercise, when the air pollution is high. People with high cardiovascular risk should even stay indoors, cool. In case of going outside, drink a lot, walk quietly and take breaks. You can learn about air quality in major Canadian cities. Data are updated daily by Environment Canada. Acetylsalicylic Acid (ASA – Aspirin). Doctors have long recommended that people at moderate to high risk of heart attack should take a low dose of aspirin daily as a preventative measure. Aspirin prevents the formation of blood clots. However, this use has been questioned . Indeed, data indicate that the risks of aspirin can, in many cases, exceed its profits. This synthetic drug may increase the risk of bleeding from the digestive system and hemorrhagic stroke. For these reasons, since June 2011, the Canadian Cardiovascular Society (CCS) has been discouraging preventative useaspirin (even for people with diabetes). Changes to lifestyle are to be preferred, according to experts. The debate is not closed and research is continuing. If necessary, discuss with your doctor. Note that this recommendation is for people who are at risk, but have not yet suffered from heart disease. If a person already has coronary artery disease, such as angina pectoris, or has had an infraction, aspirin is a proven treatment and the Canadian Cardiovascular Society recommends using it. Treating a heart attack requires medical intervention of emergency to mitigate its consequences. Contact medical help as soon as possible. It will not be a question here of the emergency treatments offered at the hospital. Once the emergency is under control, therapeutic interventions will be primarily aimed at preventing the problem from worsening and preventing recurrence. If you feel symptoms of angina attack , discuss with a doctor without delay. The following medications are used to treat or prevent angina attacks and to prevent recurrence of myocardial infarction . Lipid- lowering drugs to lower cholesterol levels: statins, bile acid chelators, etc. Antianginal , to treat coronary insufficiency: beta-blockers, calcium channel blockers, nitrates. Antiplatelet agents : acetylsalicylic acid (aspirin) and clopidogrel. Researchers are working to create molecules that can raise the level of good cholesterol (HDL). Depending on the case, any of the following may be indicated to prevent recurrence of myocardial infarction . Percutaneous coronary intervention. This intervention, performed by an interventional cardiologist, involves first inserting a catheter with an inflatable balloon to open a blocked artery, called angioplasty . The insertion of the catheter is practiced in an artery of the wrist or groin.At the time of surgery, a small metal stent, or stent, is frequently introduced into the artery, reducing by half the risk of the artery becoming blocked again. To increase their effectiveness, some tutors are covered with a drug (for example, sirolimus or paclitaxel). Bypass surgery. The surgeon grafts a blood vessel from a leg or chest to create a new blood passage to bypass a blockage in a coronary artery. Physicians opt for bypass surgery when multiple coronary arteries are blocked or narrowed, or when the main coronary artery is affected. This procedure usually occurs in case of diabetes or heart failure , or if several blood vessels is obstructed. Important . Percutaneous coronary intervention and coronary artery bypass surgery are not miracle solutions that solve all the problems. Many people mistakenly believe that such interventions are enough to put them out of danger and allow them to resume their old ways of life. Infarction affects the heart, but also the brain and sleep? Insomnia problems are common during the 2 weeks following a heart attack. Experts have long thought that stress was the cause. Infarction may not only affect the heart, but also neurons in the brain that play a role in sleep. This is at least a hypothesis supported by Quebec researchers. The treatment centers in cardiology now offer nutrition counseling, physical exercise programs, support programs for smoking cessation, relaxation workshops, stress management, meditation, etc. These measures have both preventive and curative value. Many cardiologists recommend this diet, which is effective in preventing recurrence . Studies have shown that the Mediterranean diet can reduce the risk of recurrence of coronary heart disease by 70% compared to a balanced diet . The Mediterranean diet is characterized by an abundance of vegetables and fresh fruit, the use of olive oil as a source of fat, the consumption of fish and also wine, in moderate quantities. Psychotherapy as part of the treatment of cardiovascular disorders – or even better, in prevention – can bring many benefits . Chronic stress, anxiety, social isolation and aggression are all factors that, unknowingly, affect our nervous system and undermine our cardiovascular health. In addition, to overcome these problems, it is common practice to use behaviors that, instead of helping us, aggravate the problem: smoking, alcoholism, compulsive eating, etc. In addition, people who, after a bout of angina, for example, is encouraged to rethink their lifestyle(exercise, quit smoking, etc. ), have an interest in taking all possible means to get there . In all cases, psychotherapy can play a leading role.